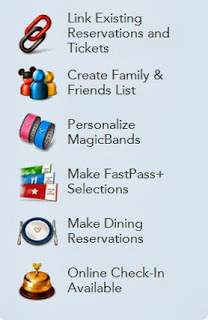 Disney Babies Blog: Link Your Reservations! Disney is working VERY hard to have a more interactive experience: before, during, and after your vacation. 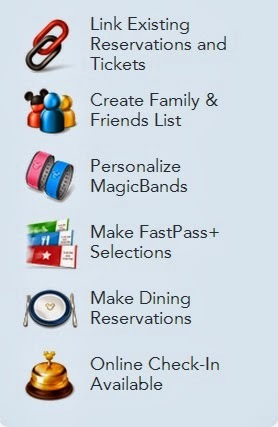 All in one place, you can count down to your vacation, have your resort reservation, dining reservations, and follow along with friends and family traveling with you! I love when I'm traveling with friends and we can link our dining reservations - that way their on their profile, but I have the reservation number in my data as well! With an email invitation, you can link to anyone who may be in your traveling party - it's just that simple! All reservations in one place! Okay, I have a Windows Phone so, sadly, this doesn't apply to me. BUT iphone and android users can download the MOBILE app and have all of your reservations in one place. I recently customized my Magic Bands (I chose yellow - fun to customize with Mickey stuff!) but you can do a lot more! While on the website, you can continue planning - coming up with new ideas! One of my absolute favorite parts of a Disney trip is planning - and since I'm always planning a trip, this is extra fun for me! Yum, Kouzzina anytime and for anything!! Great post! 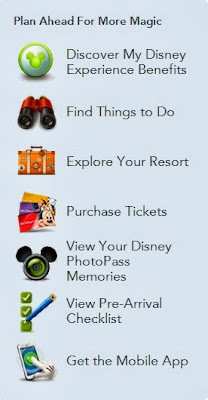 I look forward to getting to plan a Disney trip with My Disney Experience. However, I'm not so sold on the idea of planning fast pass times. Seems to take the fun and spontaneity out of the trip!